As the tides change, you can explore the beach and surrounding areas. A beach fire at the end of the day will top off your experience. 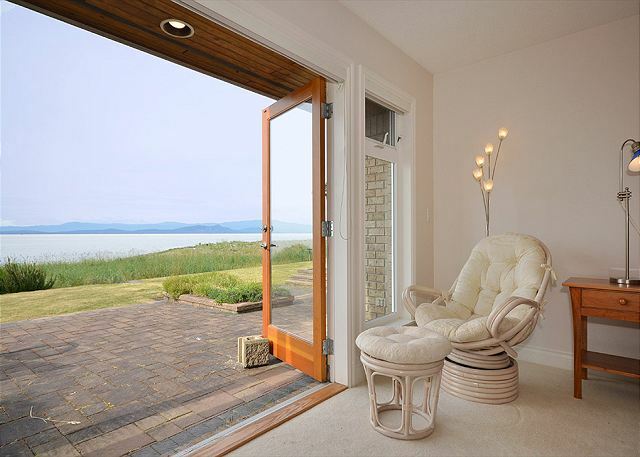 You will feel the tension ease the moment you walk through the doors of Columbia Beach House and catch your first glimpse of the panoramic ocean view. The breakfast room, dining room, living room and master bedroom all have double French doors leading out onto the patios, so regardless of whether you are waking up in the king size bed in the master bedroom, soaking in the jetted tub, finding inspiration in the art studio, enjoying your morning coffee in the breakfast sunroom, serving dinner for eight at the beautiful teak dining table, or relaxing with a good book by the dramatic floor-to-ceiling rock fireplace in the living room, you will be able to savor the spectacular view. 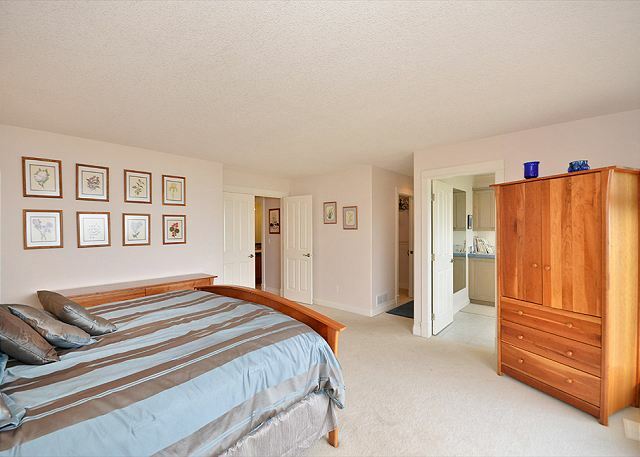 The master bedroom has a walk-in closet and an exquisite master bath complete with radiant heat in the slate floor and a no-step door-less shower. 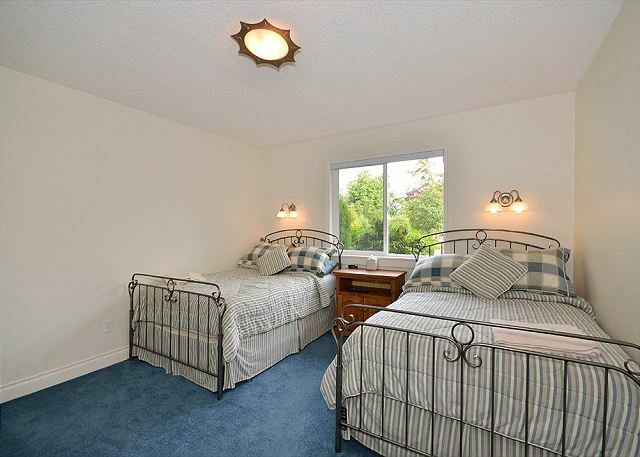 Suitable for family gatherings, the guest room has two double beds and the third bedroom has two sets of bunk beds that will delight children or adults alike with its cozy nautical theme. Sliding glass pocket doors open into a huge living/entertainment room in the center of the house. 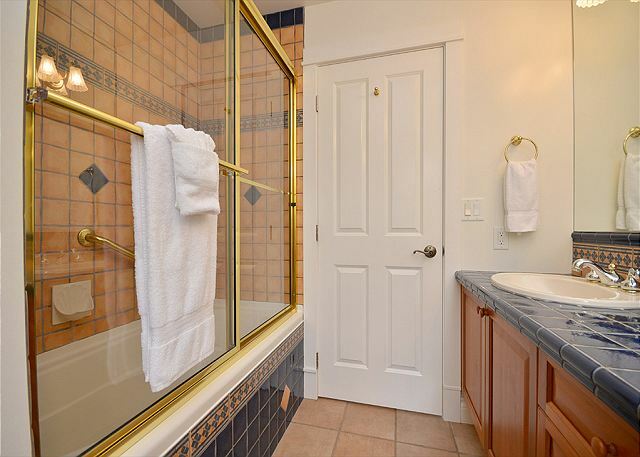 Heading towards the back of the house, you will find an enormous laundry room with tiled floors. 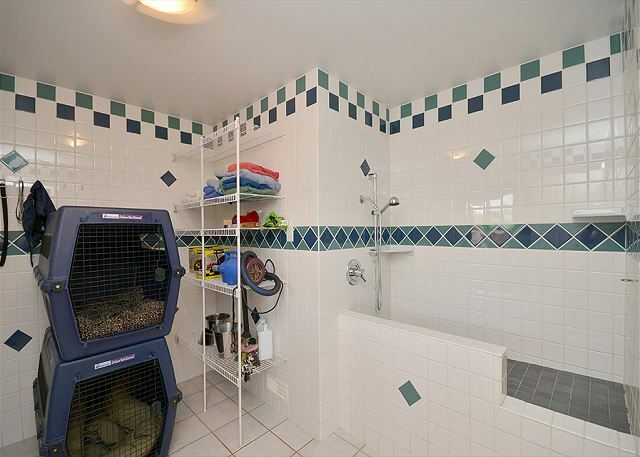 The fenced yard can be accessed from the laundry room, the garage, or the fully tiled pet grooming room complete with a raised tub. 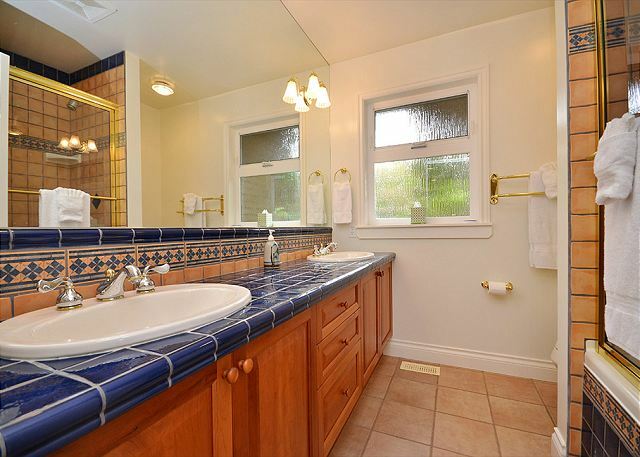 Throughout the house you will find unique tile work, custom cabinetry, and many other unique and exceptional touches that make this a truly magnificent home. 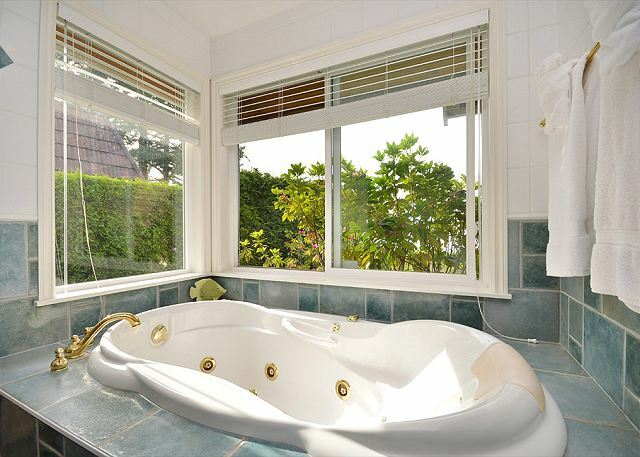 Columbia Beach House is located in French Creek, BC on beautiful and picturesque Vancouver Island. Golfers will find 7 courses to choose from in the area. 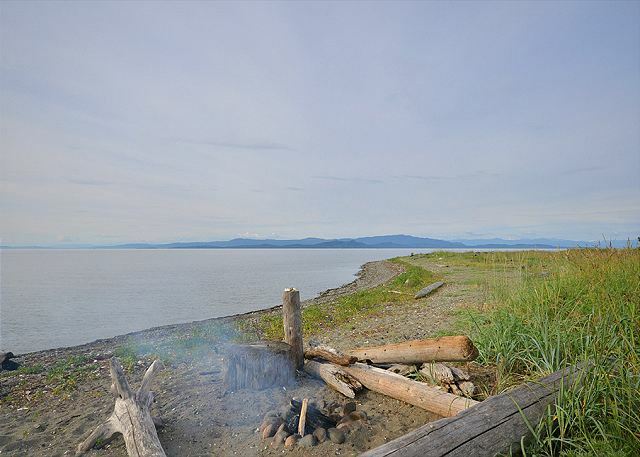 A short 5km drive south will take you to Parksville where you will find all the services and amenities you will need. 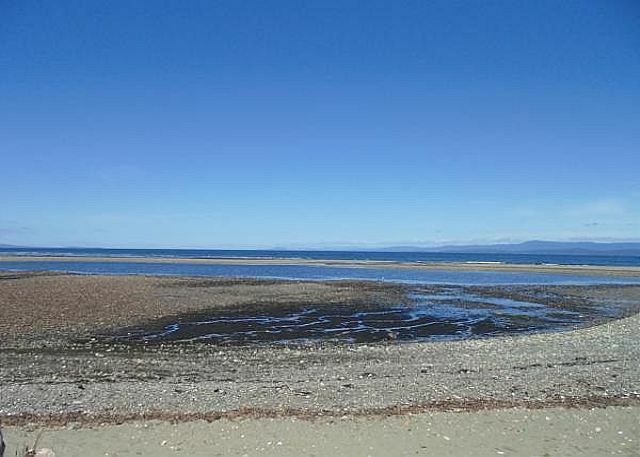 Expansive sandy beaches around Parksville have earned it the nickname Canada's Riviera and are host to the Canadian Open Sandcastle Competition every summer. Travel 5km north to Qualicum Beach and explore its many galleries, shops and restaurants. The central island location is perfect for day trips to explore the natural grandeur of Vancouver Islands mountains, rainforests and coastline, experience the worlds best salmon fishing, surf on the west coast at Long Beach, or explore the magic of Victoria. Our stay at Columbia Beach House was a great way to spend September! The location is amazing and made it easy to do day trips and still drop back to the house to explore the beach while the tide was out. A great way to spend time with your family! Great location for a family gathering. Outside patios rather bare and would benefit with some outdoor sectionals and tables. Enjoyed the Beach access & one level of house with no stairs. Thank you for your review of Columbia Beach House. Yes, the location is certainly a gem - being right on the ocean, even in the winter - Paradise! It was a super experience. We had six adults and two children and we all enjoyed our stay. Thank you very much for your kind review of the Columbia Beach House. We are happy to know you enjoyed your stay. We hope to see you again in the future. Beautiful house, beautiful view, just the perfect experience! 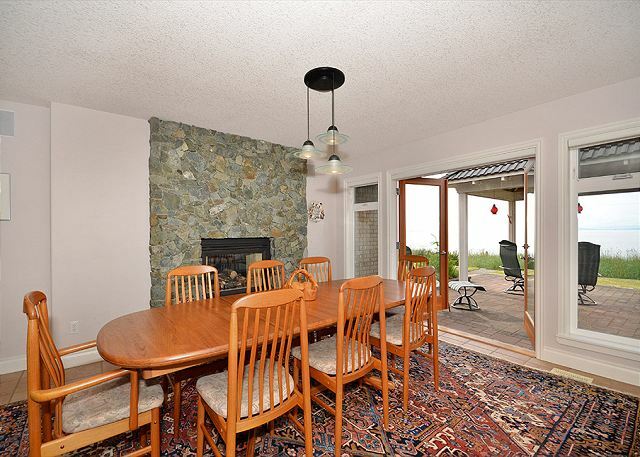 The home is located just a few steps from the beach, and is handicap accessible which was fantastic for my father. The home is also well-stocked, the owners have though of everything! Location is between Parksville and Qualicum Beach. Major grocery store within 5 min drive. Quiet neighbourhood - perfect location to explore the surrounding areas. Thank you for your review of Columbia Beach House. We are happy you enjoyed your stay. 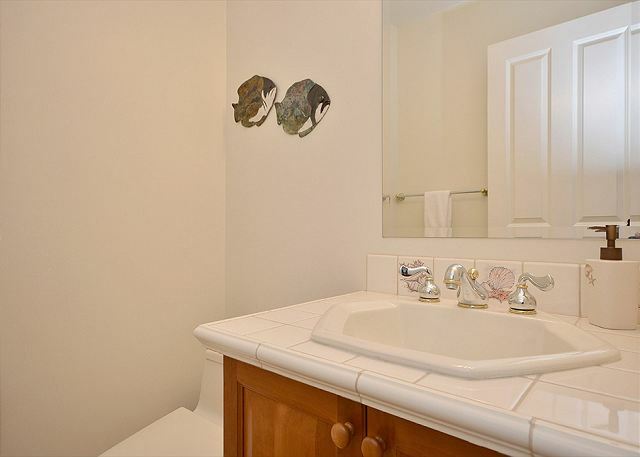 The handicap accessible areas certainly make this property user friendly for all. We are happy it worked so well for your family. We look forward to having you stay with us in the future. Please contact any one of our reservation agents for future bookings. Rented property for 5 weeks (May/June 2016). Excellent location and great for families. Our only disappointment was that the kitchen oven was not fully functional and even though we complained during the first week, the management company was unable to organise a replacement or get it fixed. However, that said, we will definitely book this property again. Thank you for your kind review of the Columbia Beach House. We are very happy to know you enjoyed your stay. We wish the digital display for the secondary wall oven worked during your stay. We hope to see you again in the future. Property photos do not do this property justice! Although probably from the 90's the finishing quality is above average and well maintained. Very spacious with ocean view from every floor-to-ceiling window and direct access to miles of beach walking! Close to everything - but why would you want to leave!!!!! Thank you for your kind review of the Columbia Beach House. We are very happy to know you enjoyed your stay. We hope to see you again in the future. West Coast Living at its Best! Relaxing spring get away in a wonderful location. Beautiful view of the beach! The golfing was great. Enjoyed the restaurants, pubs and shopping. People were very friendly and helpful. Thankyou EMR and thankyou to the owners for sharing such a wonderful house! Thank you for your kind review of the Columbia Beach House in Parksville. We are happy you enjoyed your stay. We look forward to having you stay with us again in the future. The house was clean, lots of room for a large family, it was pet friendly. It was the ideal situation for my family and would like to hope that we could come to this house again. Thank you for your kind review. 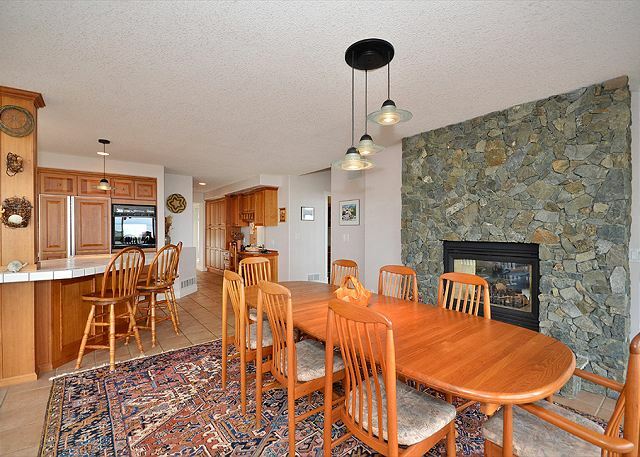 It sounds like Columbia Beach House was a great property for your family. We look forward to having you stay with us again in the future! Wonderful quiet property . 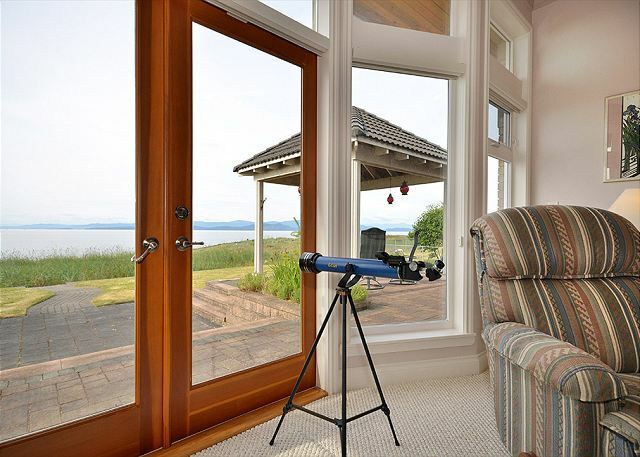 Spectacular ever-changing ocean front views with eagles, herons, sea lions & seals. 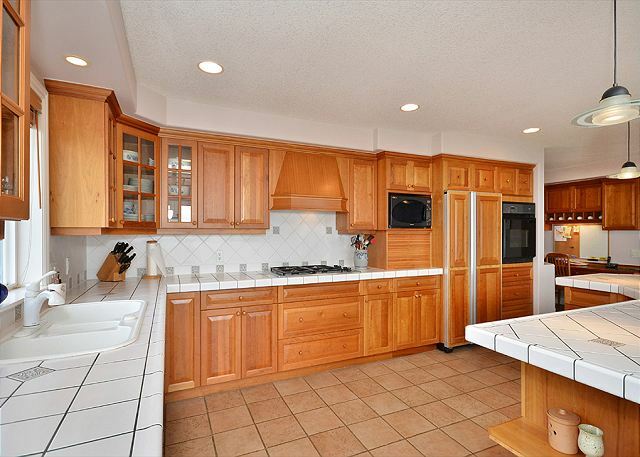 Great kitchen, dining room and living room for entertaining. Visit the farmers market in Quallicum and Goats on the Roof in Coombs. The Francis Barkly day cruise out of Port Alberni to Tofino is memorable as are the fish & chips at Bare Bones(Port Alberni). Endless opportunities for day trips to parks and beaches in the area. Thank you for your kind review of Columbia Beach House. The property seems to be a good location for exploration of the island. We are happy that you had such a great, positive experience visiting the Parksville area. We look forward to having you stay with us again in the future! We came to have our wedding at the property. Small family and friends group. Perfect house for a wedding. House had everything we needed and so much more!!!! Thank you for your review of Columbia Beach House. We are happy that this property was perfect for your small wedding and everything worked out for you! This house has anything you need for great vacation at the beach. It is well equipped, was very clean. The views (both at low and high tides) are amazing! Thank you for your review of Columbia Beach House. We are happy you had such a great stay. We had a great time. I love being able to spend time with my family. I really enjoyed being able to rent the home over the weekend. This enables my children to join me for a couple of days even if they need to work during the week. I do wish that your place rented on a regular basis from Monday to Monday to allow us to have the place for a weekend. Thank you for your kind review. We are glad to hear this property was suitable for your family. 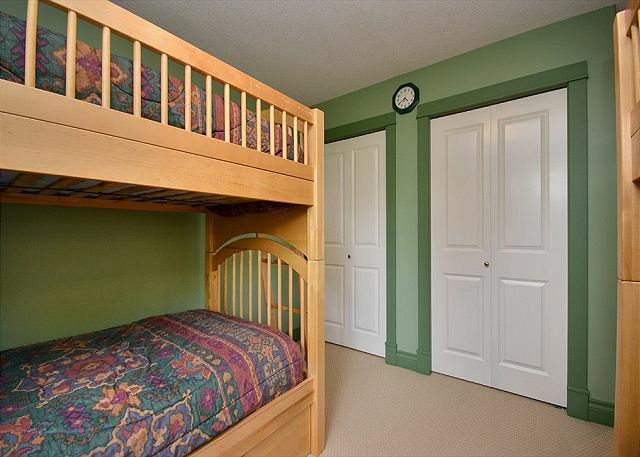 In the high season, this property does rent Saturday to Saturday as a term rental. Depending on other bookings, a Mon to Mon stay maybe possible. 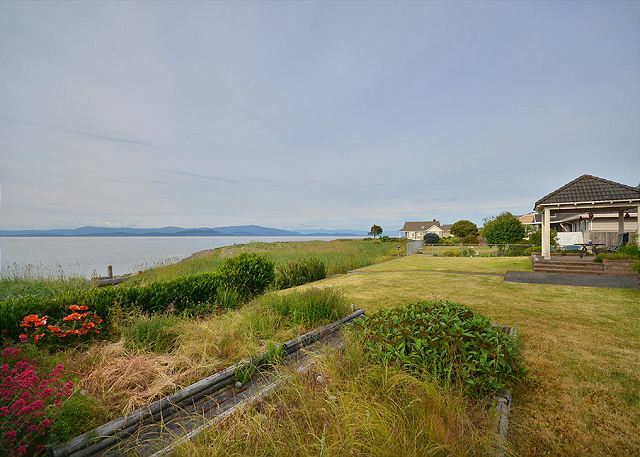 Stunning house on the beach in Parksville, Vancoouver Island. 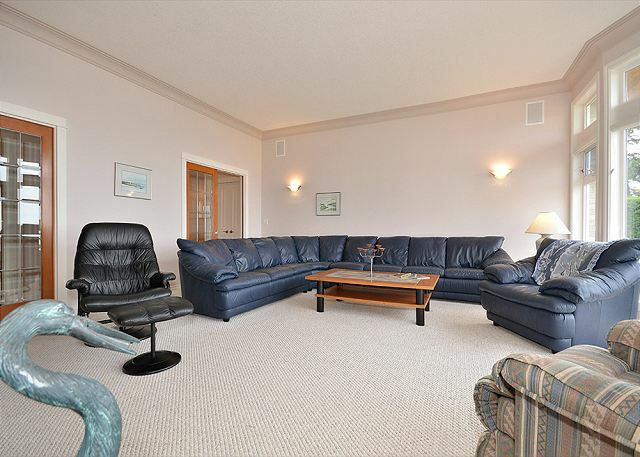 Spacious, comfortable, well equipped and in a fabulous location. The perfect way to end our Canadian adventure. Thank you for your kind review - we are happy that you enjoyed your stay in Parksville. We look forward to working with you again in the future. Our family had an amazing stay at this vacation home. Everything was exactly as described and more! The views are stunning and the sunsets were gorgeous. We enjoyed watching bald eagles and sea lions and spent a lot of time exploring shells in the water. 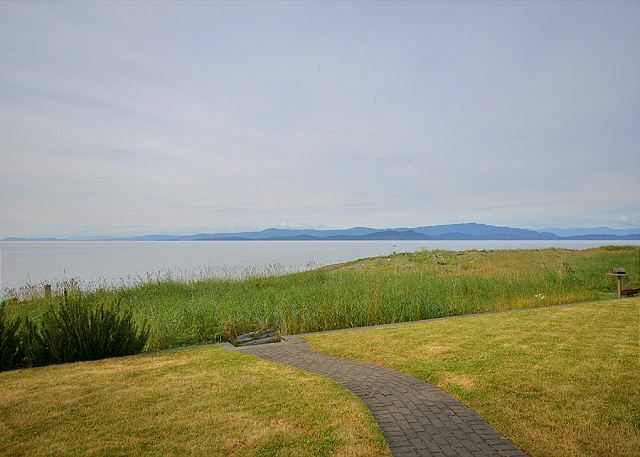 The location is fantastic, between Parksville and Qualicum Beach, and we were able to do many day trips to other sights on the island. Groceries were easy to get and we were not wanting for anything. The property management company was very easy to deal with and were available if we had any questions. We are already dreaming of our next vacation here! Thank you for your kind review of the Columbia Beach House in Parksville area. We are happy you enjoyed your stay. We look forward to having you stay with us again in the future. This property is everything it seems to be and more. We were not disappointed with any part of it. Thank you for your terrific review. We are happy that you enjoyed your stay, and look forward to having you stay with us again in the future. Convenient location, very clean house with unparalleled ocean view. Charlotte and Liz are very helpful and friendly. I cant ask more. Thank you for your kind review. We are glad that we were able to provide you with a wonderful accommodation for your weekend on the island. We hope to see you again soon! This was the perfect vacation rental for our family vacation. We were three families (six adults, 2 kids and 2 babies) and the house provided ample room and entertainment for all age groups. The house was exactly as shown in the pictures and we were not disappointed from the moment we walked in. The kitchen was well stocked with spices and other odds and ends. We used the BBQ most nights however it could use a good cleaning or upgrade. 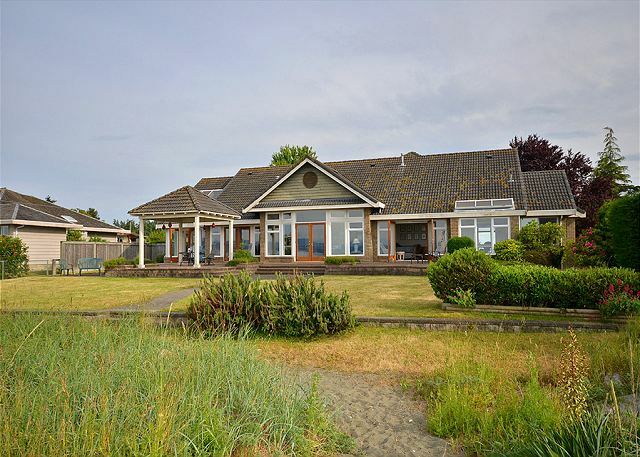 The location was ideal, being right on the ocean and provided endless hours of entertainment for the kids, playing in the sand, hunting for seashells and other sea life, watching the sea lions and flying kites. The house is very close to grocery stores and central to many attractions on the island that can be visited in short day trips. The property management staff were very easy to deal with and prompt in replying to any questions or concerns we had. 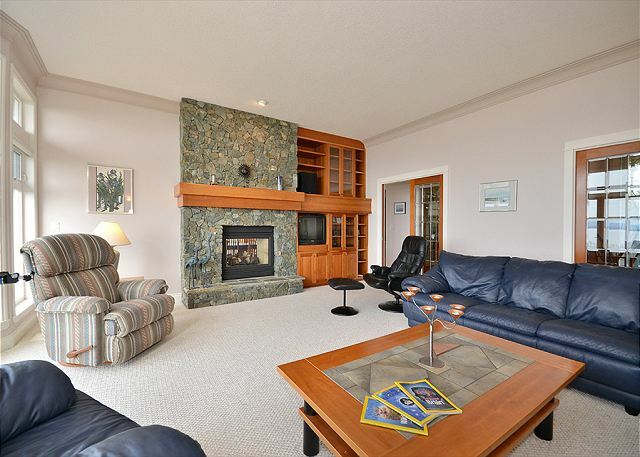 An unforgettable vacation at the Columbia Beach House! 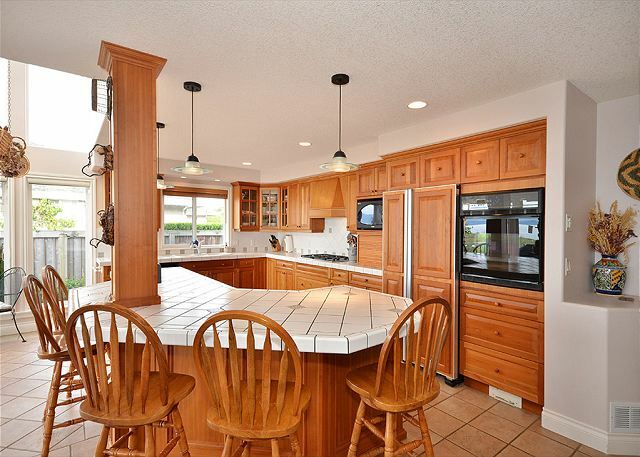 Large house with high end furnishings located on a large well treed lot on the beach. Thank you for your review. We are happy you enjoyed your stay. We look forward to seeing you again in the future! 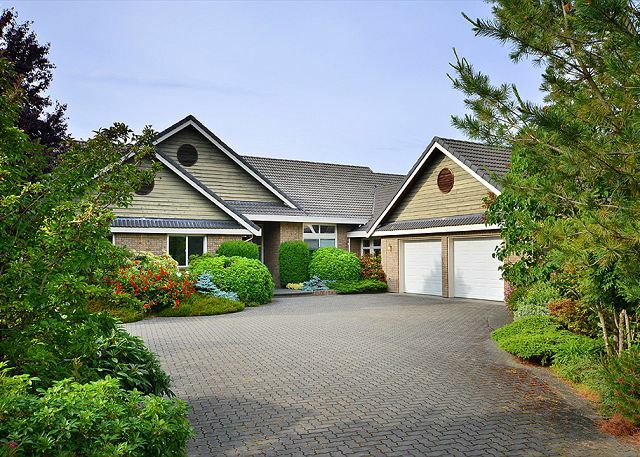 The house is in an excellent location close to restaurants and coffee shops in Parksville and Qualicum Beach. Great ocean views with seals and eagles passing by. We appreciated the cosy gas fireplace during our winter stay. There were some recent upgrades (flat screen TVs, new carpet, new coffee maker and toaster), but a couple of minor maintenance issues that need to be taken care of (fridge leaked on defrost cycle, patio door sticks while closing, smoke alarm too close to oven!). But overall perhaps the best house we have rented in the area. We would rent it again. Outstanding location with a beautiful view. Everything you need is there. Very quite neighborhood. Beach is not sandy, but quite rocky. Even though, a wonderful place to stroll and explore. Two things I think could use some improvement are, the bed in the Master BR really needs to be replaced, and the CRT televisions need to go in the trash. We had an excellent time at Columbia Beach House. Our greeter Charlotte was very friendly & welcoming. The home was quite expansive and there was ample room for everyone, even those that wished a little quiet time on their own. My sister and her husband flew in from Whitehorse to meet us at the beach house for our father's 80th and our mother's 75th birthdays. The house is amazing as are the views and the rancher style was perfect for my father's mobility issues. The massive kitchen is stocked with all the cookware and dishes needed to prepare gourmet meals for a group. Coffee every morning on the deck with breathtaking views was fantastic. Would we come back? Absolutely we would, we never wanted to leave! We planned this holiday almost a year ago and my family had one very specific request. That the house be right on the beach. We had 6 adults and one infant. so it was hard to find. Thanks you for lmaking it all possible! From the moment wea arrived until the time we left it could not have been better. The accomadations were fantastic, the view awesome I would recommand this rental to anyone who was looking for a special getaway. The wildfife was outstanding from the bald eagles to the seals at night. The area is peaceful and enviting. We spent a wonderful week staying at the Columbia Beach House. Firstly, the home it's self is perfect. 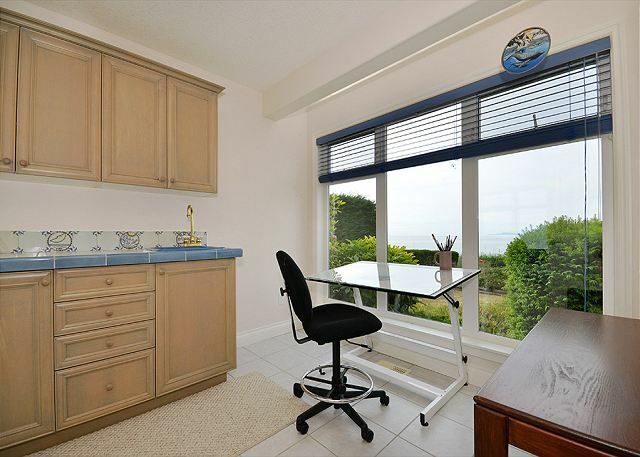 Spacious, the location, the breath taking views from each of the rooms and the walks on the pebbled beach. 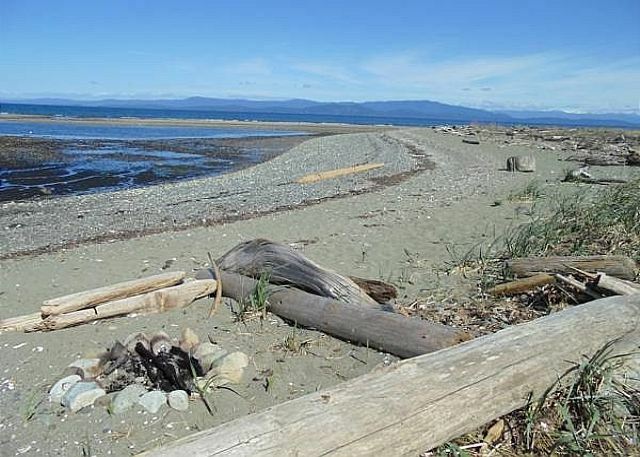 Secondly, the home is so close to all of the best sandy beaches Parksville and Qualicum Beach offer. The fenced backyard and dog washing facility were enjoyed by our dog. The sunsets and sunrises were exceptional. The kitchen was fully stock. The personal touches throughout the home made it special. A real home away from our home. Awesome - awesome - awesome!! We walked in to a beautiful home, extra super clean with a view to die for! Very accomodating home for the four of us. Centrally located to lots of activities and beautiful drives. Our greeter was very accommodating and full of information to make our stay the best ever. The whole experience - start to finish - from getting information to rent the home to check out was easy and very professional. Thanks to all! We will be back!! 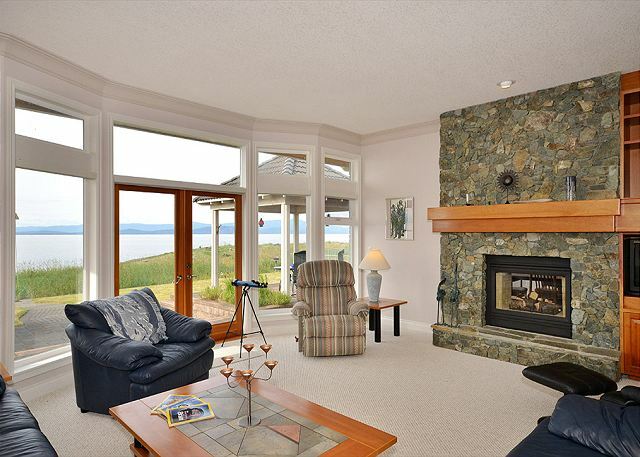 A wonderful,spacious house with tremendous views of mountains and ocean from every room. A great place to relax. 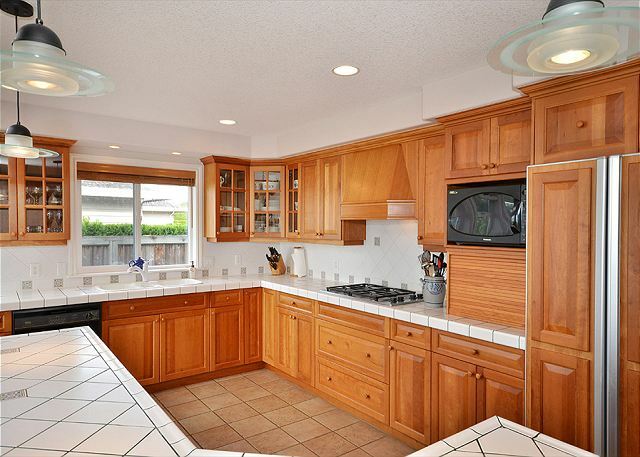 Great restaurants and golf courses nearby! Lots of sights and hiking trails all within a short distance. We found all the locals very friendly and helpful. We would travel there again! Very nice home in a nice neighborhood/location. The only thing I would suggest to add would be an outdoor propane heater so we could sit out in the evening and enjoy and sounds of the ocean. We are glad you enjoyed your stay. Hope to see you again. Thank you for your kind review. We will pass on your suggestion to the owner. a guest from Burnaby, BC does not recommend this vacation rental. property was lovely-view & wildlife lovely. Disappointed in not being able to swim. Very rocky beach - even walking was challenging. Lot's of eagles and ever changing landscape was beautiful but did not meet our expectations of a "beach" holiday. Thank you for your review of the property. The beach has both sandy and pebble sections during different tidal periods. Thank you again and we are glad to know you enjoyed the house and wildlife viewing. The home was fabulous, the view of the ocean awsome; situated in a quite neibourhood where we didn't have to worry about the children. The tidal pool in the back of the house gave us all hours of exploration & a safe place for the children to swim, even at high tide. The home was close to everything & there is lots to do and see in the Parksville area, we especially liked the sand castle display on the beach & of course Coombs. 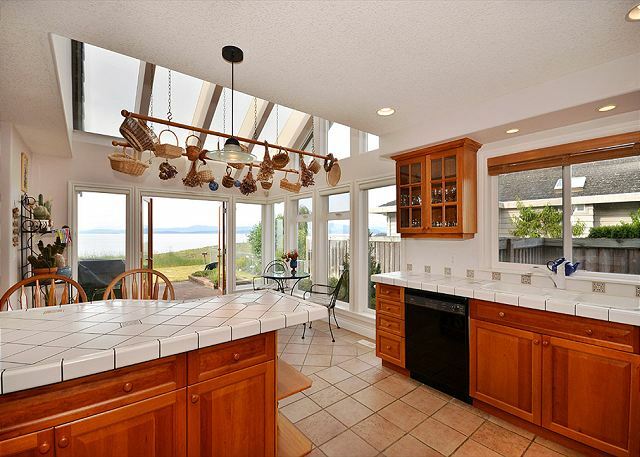 We would recommend this rental home & your company to anyone interested in spending a wonderful holiday at the ocean.